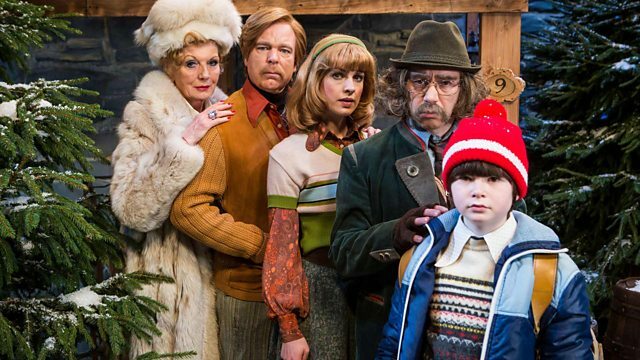 Watch a preview clip (below) from the Christmas special of Steve Pemberton and Reece Shearsmith‘s award-winning BBC Two anthology of comedy dramas, Inside No. 9. Set in Austria, Krampusnacht 1977, the comedy duo, aided by guest stars Jessica Raine, Rula Lenska and Derek Jacobi star in Inside No. 9: The Devil Of Christmas. When Julian (Pemberton) and Kathy (Raine) arrive for a holiday with their family, the family soon discover what happens if you’ve been ‘naughty or nice’, when all the good children are given gifts by St Nicholas and all the bad ones are punished by the demonic Krampus. But who has been good and who has been bad? The clip shows Julien dismissing Klaus’ (Reece Shearsmith) warning. Kathy, meanwhile, isn’t so sure. Inside No. 9: The Devil Of Christmas will air on BBC Two on Tuesday, 27th December at 10pm.